We're finding a lot of critters in the few minutes we spend outside each week. It's so hot I have a hard time motivating Mabel to play out there and should admit that I'm pretty happy to sink into the couch for a while each afternoon, too. 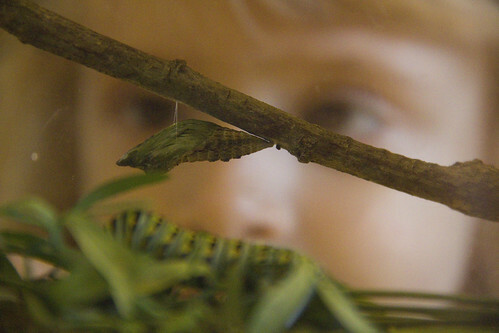 We found another batch of swallowtail caterpillars, both of which are now chrysalis. Saturday night I made a sorrel tart. 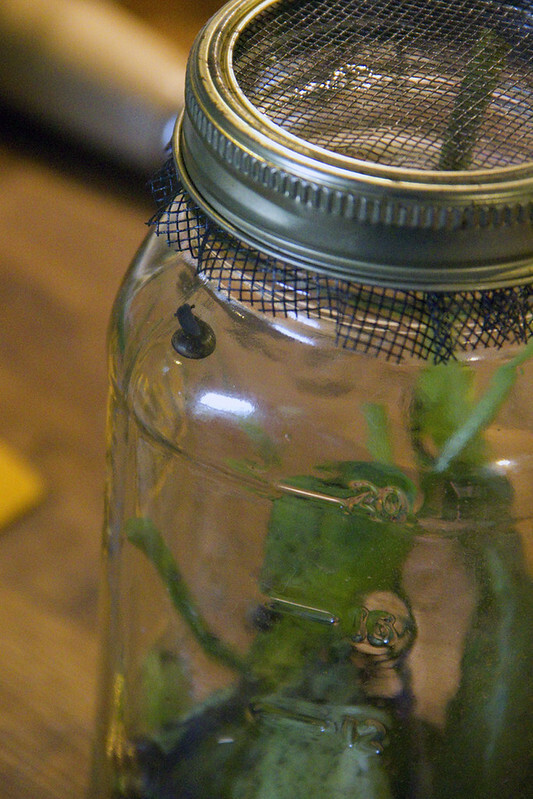 The sorrel, straight from the garden to the kitchen, had lots and lots of little snails which I collected in a jar. I told M we weren't going to keep them, but they're still in the jar on her work table (aka the den coffee table). I'm thinking we could become Matthews, NC's first escargot farmers.